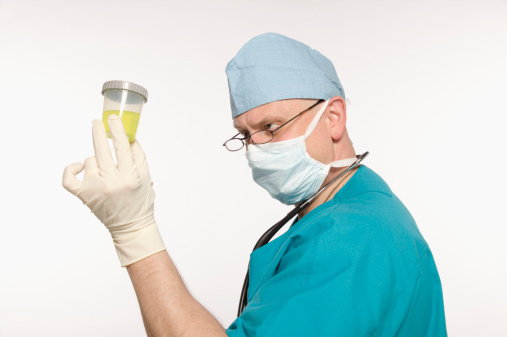 In this state, if a worker refuses a drug test after a workplace injury, he’s presumed to be intoxicated and workers’ comp benefits can be denied. But in this case, the worker didn’t take the drug test and he got benefits anyway. Why did a court allow the worker to receive benefits? Joshua Prine worked for Coastal Bridge Co. in Louisiana. One day at work, he injured his back. His supervisor drove him to an occupational medical clinic for a drug test. When a nurse told him he had to submit a urine sample, Prine said he wanted to see a doctor. The nurse told him he had to submit to the drug test first. Prine left the clinic without producing a urine sample. As per Coastal’s company policy, Prine’s supervisor fired him on the spot for refusing the drug test. Later that day, Prine went to a hospital ER where he was treated for his back injury. He also submitted to a drug test at the hospital, which came back negative. Prine refused to submit to a drug test immediately after the incident, and therefore he was presumed to be intoxicated at the time. His supervisor claimed Prine said he had smoked pot and wanted to obtain a substance that would help cleanse his system of the drug. Prine said this wasn’t true, and his supervisor made this claim so he wouldn’t get workers’ comp. On top of all this, Coastal said it had surveillance video showing Prine working on a car despite his claim that he was unable to do any type of work because of his back pain. Prine wasn’t entitled to temporary total disability (TTD) benefits because he failed to prove he was unable to perform any type of work. Coastal and Prine appealed the ruling. A state appeals court heard the case. Coastal argued Prine should be denied benefits because he didn’t submit to the drug test at the clinic. The court noted that once an employee refuses a drug test, by law it’s presumed he was intoxicated. However, the employee then has an opportunity to prove otherwise. Prine did just that by getting a drug test when he went to the hospital. The appeals court said that proved he wasn’t intoxicated at the time he was injured. Coastal argued it was suspicious that Prine refused a drug test at the clinic and then obtained his own later in the day. But the court said there was nothing in the record that showed the test from the hospital wasn’t reliable. Coastal pointed to the testimony from its supervisor that Prine told him he had smoked pot and wanted to find something to cleanse his urine. The supervisor said he never saw Prine smoke pot and on the day of the injury he didn’t notice anything that would indicate Prine was intoxicated. So the appeals court upheld the decision that Prine successfully showed he wasn’t intoxicated at the time of his injury. Coastal also argued Prine committed fraud by testifying that he couldn’t work. Surveillance video seemed to show Prine working inside the hood of a car at a friend’s auto repair shop. Prine said he tried to work on a car that one day the video was taken. He said when he tried to work he was in too much pain and couldn’t continue. He said he didn’t work on another car after that day. “The fact that Mr. Prine worked in pain for one day … does not bar him from receipt of TTD,” the court wrote in its decision. ruled Coastal had to pay $13,711 in attorney fees to Prine and a penalty of $8,000 because the company didn’t have sufficient factual and medical information to reasonably believe that benefits weren’t due to Prine. What do you think about the court’s decision? Let us know in the comments. This guy was either innocent, or pretty sharp. The model is provided for others now. He could have used purchased heated urine at the hospital to make a test if not closely monitored. Trying to work injured is a testimony of trying to get by when his job ended. I’m glad to read this to be aware of the details needed when documenting such an event if it occurs with my employer. If the man was innocent, good for him. If he worked the system, take a lesson on what to do to prepare for later litigation.